We are proud to provide custom bowstrings for excellent shooting. We are always improving efficiencies to create the highest quality bowstrings available in a timely manner. Creating custom bowstrings is the best way to make your crossbow your own. 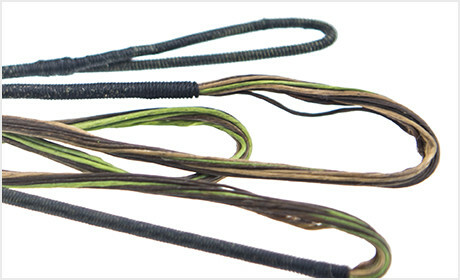 If you want to personalize your crossbow, choose your favorite colors for the bowstrings. This will distinguish it from all the rest and will make it more significant to you. 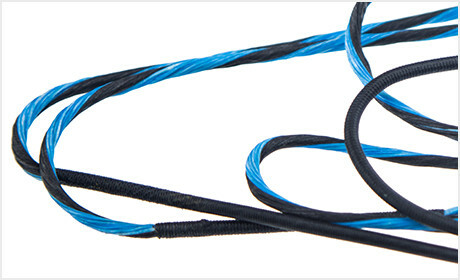 We have been in this industry since 2003 and have continued creating and distributing top-of-the-line custom bowstrings. We value efficiency and quality, which is why we use the best materials and a proprietary construction method to ensure that it doesn’t creep. We want you to excel in this sport and with the right archery equipment you will be set up for unmatched performance. Because we want to make sure that you are happy with your bowstrings, we are pleased to offer a 12-month warranty against any serving separation, creep, or peep rotation. One of our top priorities is making sure that our customers are more than satisfied with our products. We love helping you obtain the quality crossbow accessories and bowstrings that you need to improve your skill, so that you can shoot well and have fun. Shooting crossbows is a fantastic sport. It is challenging, exciting and fun. Whether you are just learning how to shoot, practicing to improve your skill, or are already an expert, having the right equipment is important.